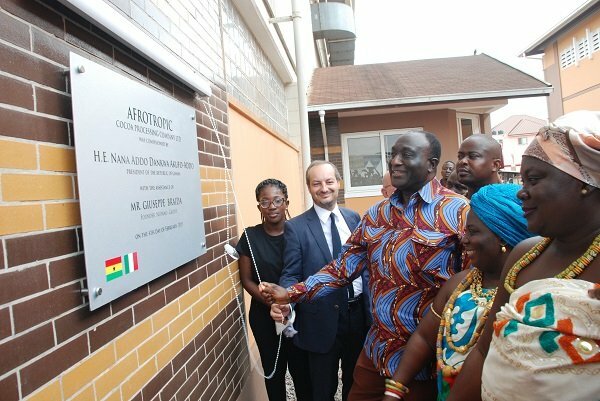 The factory, which is expected to process 15,000 tonnes of cocoa beans annually is one of the projects earmarked under the government flagship programme, “One-District, One Factory”. Speaking at the inauguration ceremony, the Trade Minister said the opening of the factory is part of government’s agenda to ensure that 50 per cent of raw materials are processed locally. He noted that the government is focused on the implementation of key economic reform programmes and policies to ensure that local industries were built to withstand the dynamic nature and volatilities of the global business environment. On his part, Chief Executive Officer of the Nutkao Group, Andrea Guidi said the group’s strategic plan was to continually develop Afrotropics as the main supplier of cocoa raw materials to the group, adding that with the support of the government and its various agencies, Afrotropics would be able to grow and expand in the coming years.